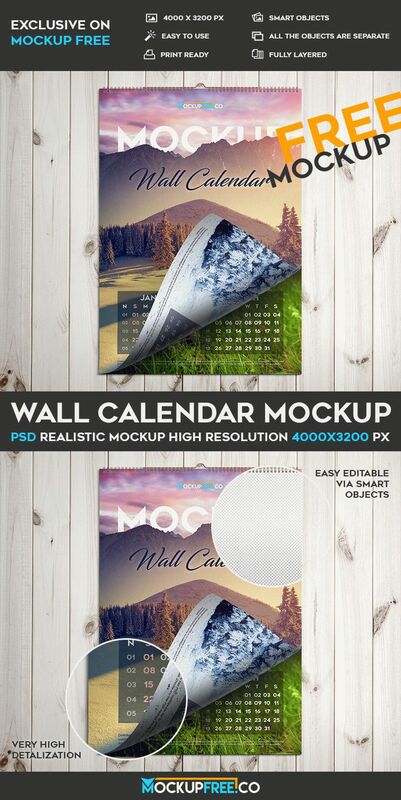 Wall Calendar – it is awesome and really professional Free PSD Mockup for your business and entertainment. Download for Free this qualitative mockup and make presentations, promote your brand and label, create branding identity and make your ideas recognizable. This mockup PSD is very qualitative and we are sure it can be useful for you in future!